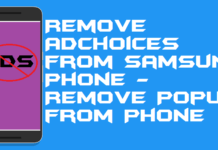 Hello friends, Today I will tell you five methods on how to detect and Avoid Fake apps on Android. You can spot fake applications on Google Play store. 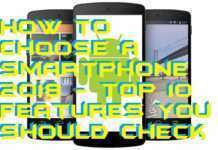 Users can quickly identify fake apps on Android using these simple methods. 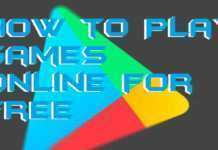 You can identify and stop your self from downloading these fake apps on Google Play Store. Users can create their list of fake apps on Google Play Store. Have you been ever triggered by a false app on Google Play Store? If yes, then you are at the perfect place. 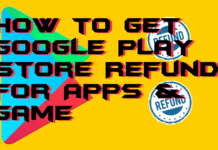 In this article, I am going to show you to detect fake apps on Android Google Play Store which is a widespread issue. There are many apps available at Google Play Store which are not from the verified developers and are made only to steal user data. 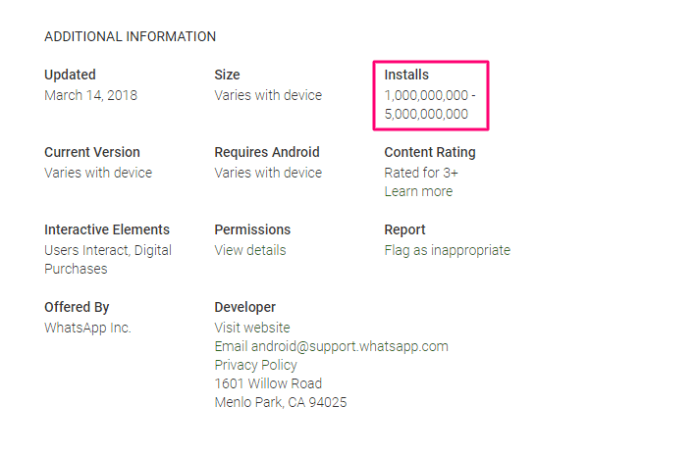 So, I have discussed some easy way to detect fake apps on Android Google Play Store. 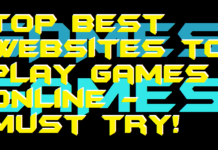 Let’s have a look at the below guide. The method which I have mentioned is very straightforward and is based on some fact which you have to analyze yourself. 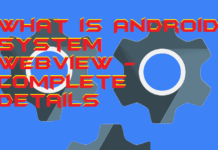 We are going to take help of some factors which will tell us the reality of an Android app on Google Play Store. Using this guide in future, you can quickly judge that which app is official and which app is fake. The most common thing in a fake app is that the name of the fake apps will be same as the official app name. 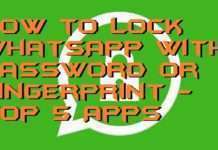 We can take an example of WhatsApp messenger app. The fake app will also use the official app name to make it real. Like Facebook messenger in place of the Facebook messenger. And also check the developer name under the app name. People can create several apps with the same name. But they cant match the same developer name. Make sure you are downloading the same similar app by checking the corresponding developer name. 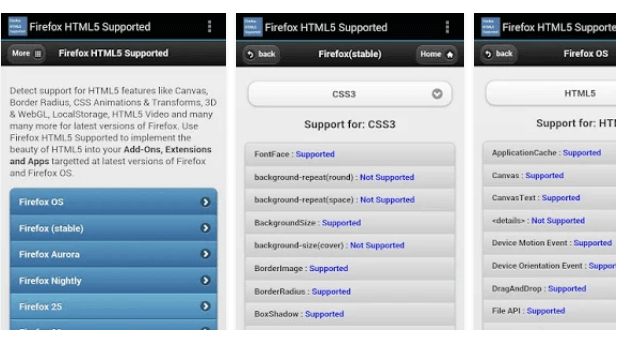 So, you can detect fake apps on Android using this also. Few of the peoples check the developer name to verify the app is genuine or not where they get fail. But, it is possible to detect fake apps on Android by apps developer name. However, if you have any doubt on the developer name, then you can Google it. In the official apps you will see well-known app developer names but, sometimes in fake apps, it will be similar to the official app. The download rates of an official app like WhatsApp, Facebook are very much high. They have millions of install. But, in fake apps, you will be able to see only a few installs. The users rarely install them. So, you can get an idea that this app is not much popular as compare to official app and is 100% fake app. It will indicate that the app is right for you to install or not. Detecting fake apps on Android by its screenshots is the best way. The fake developers cannot use the screenshot of the official app because it will strike a copyright issue in their app. So, they use their screenshots, and that screenshot will counter them down. The official apps screenshots look like a professional screenshot but, fake apps screenshots do not. 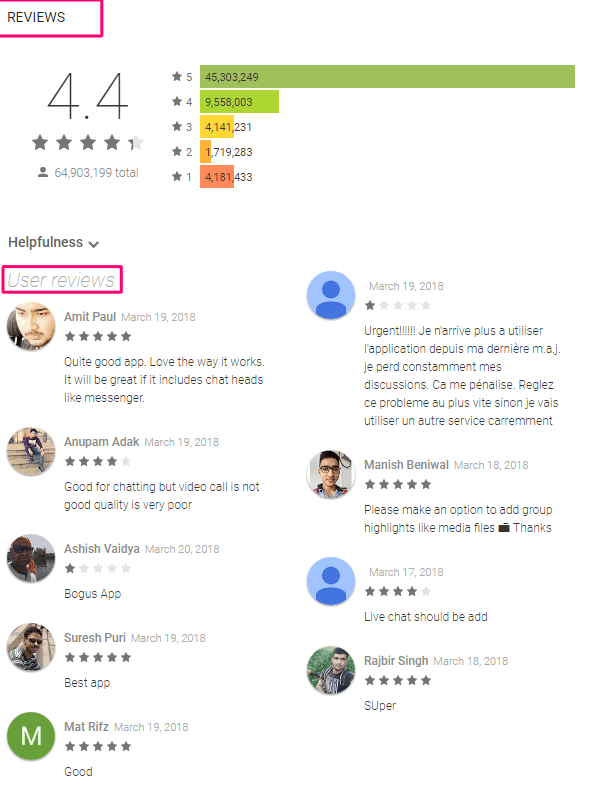 Reviews are the amazing thing which will help to detect the fake apps on Android. When a user installs a fake app, and it gets to know that the app is fake, then the user leaves its review on the review page. It helps upcoming users a lot to determine that the app is fake or not and as well as gives them an idea that how the app is. By reading a 5-6 review, you can get an idea about your app which you were going to install. 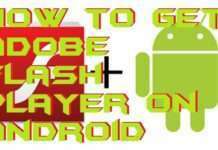 So, in this manner, we can quickly detect fake apps on Android Google Play Store. 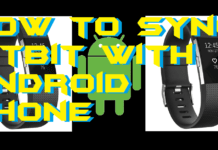 However, not only a single way will help you to identify the fake apps on Android. You have to use all the five ways which I have mentioned above. 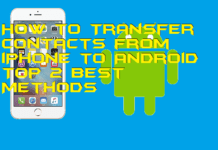 By using all these methods, you will be going to detect fake apps on Android very quickly and precisely. 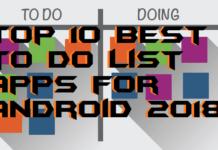 Make sure that you tell your friends also about recognizing fake apps on Android by sharing this article.